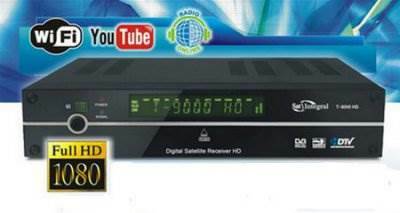 • Sort the channels of the satellite, transponder, alphabet, encoding, HD. 4. The upgrade process starts automatically. During the update the unit can restart. It's okay, do not disconnect it from the mains or remove the USB-drive! 5. After the update the receiver to boot to the operating mode. P.S. If successful, the update file in the "files" directory will be renamed NxpRom11.bin. For the next update, you need to rename back in NxpRom.bin. This can be done by means of the receiver. 2. Press the YELLOW button on the remote control to save the channel list or keys and select "Upload channel list" or "Unload the keys." Channel list will be saved to a file with the extension "* .sdx", and key in a file with the extension "* .key"
3. To update the channel list and press OK key on the desired file in the USB-menu. 4. At the end of the upgrade process, you may need to restart the receiver, which will be requested in the pop-up window. Being on the encoded channel, press the rocker PAGE-DOWN on the remote control. To change /add BISS key then press the RED button, CDW - BLUE button. To edit additional BISS or CDW options keys on the menu patch, click on the desired key F1 button on the remote control. To connect to a wired network to the receiver built network card with RJ-45 connector on the rear panel. Connect the receiver to a local network or the Internet, enter the menu Advanced -> Network Settings -> IP Setting. If your network runs DHCP-server, you can get the required settings from it. To do this, press the BLUE button on the remote control. The receiver at the same time to restart. To every time you boot the receiver received the settings from DHCP-server, using the GREEN button, the remote control, set to DHCP in the "Enabled».